What do parents do when they finally get a chance to get away and leave the kiddies with their grandparents? Find a romantic Inn that doesn’t have any kids around. And nothing sings more romance than staying at a Historic Inn. As well traveled as my husband and I seem to be, I have to be honest, we’ve never stayed in anything historic since most of our travels are with our kids. And trust me, no historic place wants little hands handling their beautifully ornate furniture and decorations. So, to say the least, we never even given it much thought. That was until our trip to Atlanta. First of all, when I started doing my research about Atlanta I immediately narrowed my focus on Bed and Breakfasts. Main reason is that most of the B&B’s don’t allow kids under 12, so that was a good start. But when I dug deeper that’s when I learned about The Shellmont Inn. And immediately knew this was where I wanted to spend our time. And once I contacted Debbie, the owner, I knew this would be more like a home away from home for us. Especially, since we are not big city folk. 1. 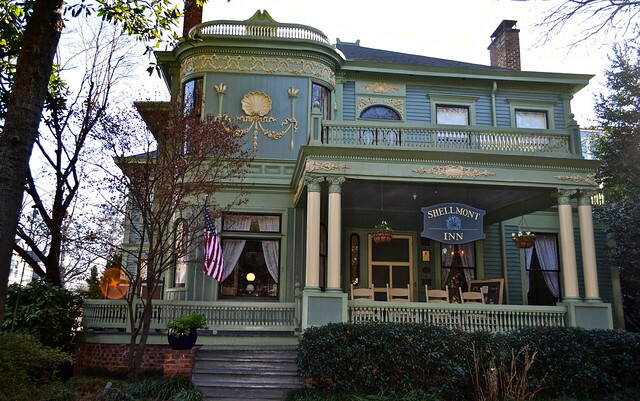 Location – The Shellmont Inn is located in Mid-town Atlanta. Whenever I hear mid-town I think of Manhattan’s mid town which is full of sky risers from the publishing companies. Definitely wasn’t expecting to find a quaint, residential area full of Victorian styled homes. I’ll let you in on a little secret, I went to school in upstate New York for a short period of time. Most of the homes in that area were all Victorian mansions. And since then I have always wanted to live in a Victorian Mansion. Since I live in Guatemala, furthest from anything Victorian, I can say my dream has been fulfilled, even if it was only for three nights. What’s also super convenient about the Inn was that you can literally walk to all the major tourist attractions like Coca Cola World, Georgia Aquarium and CNN. We didn’t because during our visit mother nature wanted to surprise us with an insane cold front. I was so unprepared, so we ended up driving everywhere. Also, it was just minutes away from all the best restaurants and all the cool neighborhoods of Atlanta. 2. The Mansion – When I lived upstate NY, during a short stint at a university there, the only Victorian homes I ever entered was for frat parties. Needless to say, they weren’t great. 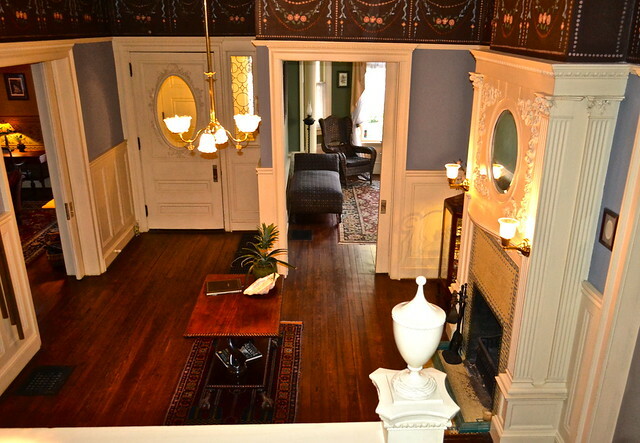 So when I entered what a real Victorian home should look like I knew there was a reason I always wanted to live in one. Debbie’s and Ed’s (the owners) love is seen in every single detail of this place. 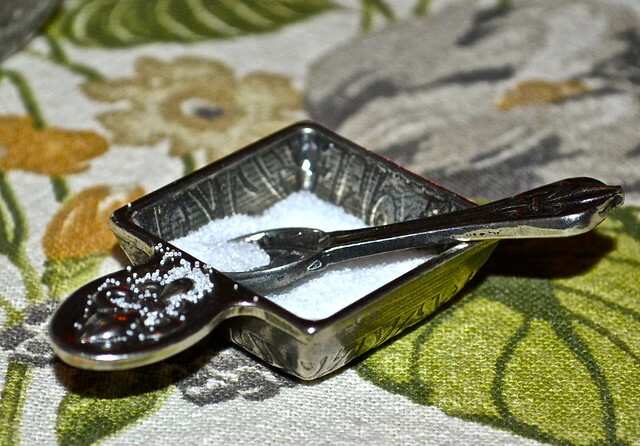 From the chandeliers to the skeleton keys used to enter each room to the salt shaker on the table for our breakfasts. 3. Breakfast – Debbie, I think, by nature is a gourmet cook, so the food was absolutely delicious. I loved the morning chats with the other guests and Debbie and Ed. Due to their knowledge of Atlanta, we were able to visit some places I never heard of nor found during my extensive searches of what to do in Atlanta. 4. 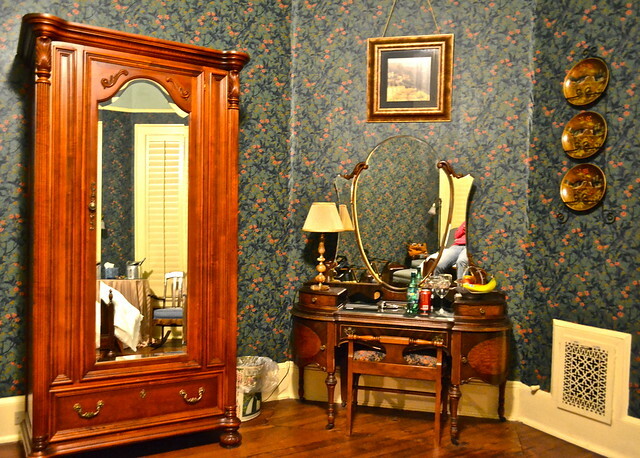 The Room – The entire Inn only has six rooms in total. Yet the rooms themselves were huge. 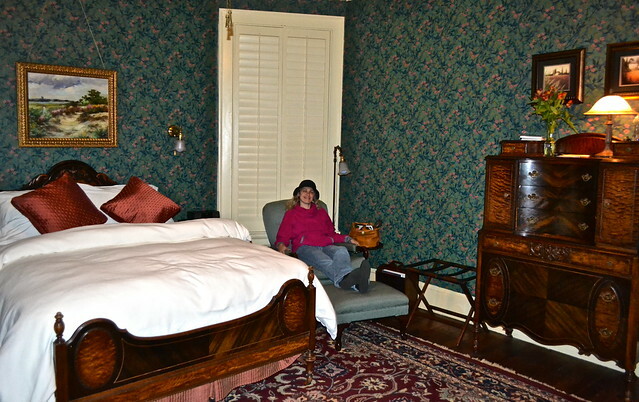 We stayed in the Tiffany Room. I’m not sure what I fell in love with more the room’s furniture. Or the amazing bathroom with a shower and a whirlpool. Or the porch where I enjoyed my morning tea every day. 5. The Service – But aside from all the beauty, what was most comforting were the hosts. We arrived pretty late our first night because we were stuck in traffic. Debbie was waiting for us with open arms and made us feel so welcome immediately. She showed us around, sat with us to help us figure out where we were and where we wanted to go. The room always had fresh fruit and drinks that she brought in the morning and evening. During the day Ed and Debbie were always happy to see us come back, chatted about where we were and whatever we needed they always were there to help out. In larger hotels you don’t usually feel this closeness of the people from the hotel, so it definitely added to the uniqueness of our stay. 6. Bonus – Parking – like any city parking in Atlanta is no joyful experience. There was parking but during the day you couldn’t leave your car from 7 – 5 pm and on the side street all the residents took up all the good spots. Sure you can find one, but in the cold that we had, who wanted to walk. Gratefully, the Inn has a huge four car garage which was so convenient and at no extra charge. The hotel was originally built in 1891, in that time, it was in the countryside. Some of the tours pass by the house because it is a historic landmark. In the 1890’s, the shell symbolized “tranquility”. The parlor has hand carved musical instruments on the fireplace mantle. It is listed on National Register of Historic Places. 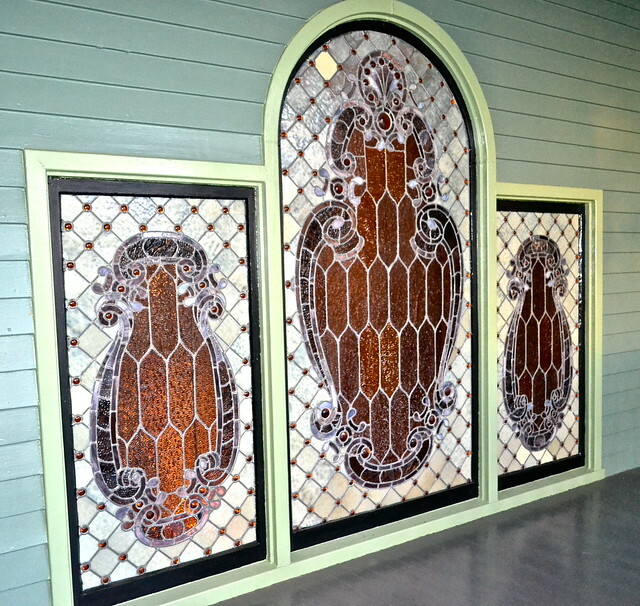 Shellmont Inn is adorned with numerous carved wooden shells on both the exterior and interior, the handiwork of Italian Woodcarvers. In the foyer you will find a nine foot tall mantle with hand made mosaic tile in the greek key pattern, hand carved shells, flowers, ribbons and mythical figures, as well as a two story, five panel set of original Tiffany stained glass. The dining room is graced with a floor to ceiling hand carved mantle and triple leaded glass windows. The “Turkish Corner” Library has an inverted dome ceiling, replicated wall and ceiling stenciling, triple leaded glass windows and Moorish inspired hardware. 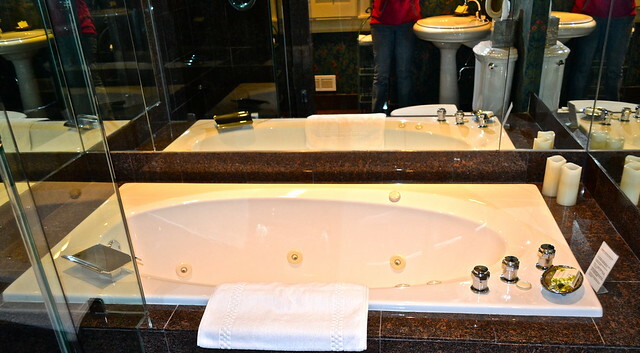 This entry was posted in Atlanta, Georgia, Hotel Review, Review, Romantic Getaways, United States, United States Hotels. Bookmark the permalink. 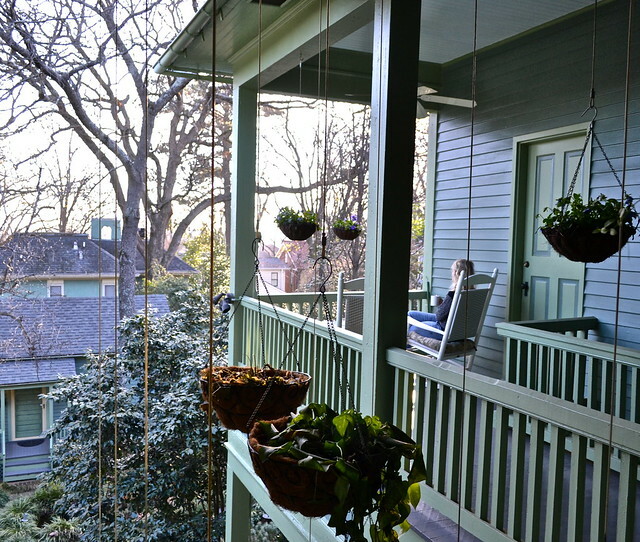 Looks like you found the perfect little haven in Midtown Atlanta. Hope you stayed warm in this crazy weather!